Vi aspettiamo al Museo Etnografico del Friuli alle 17.00! 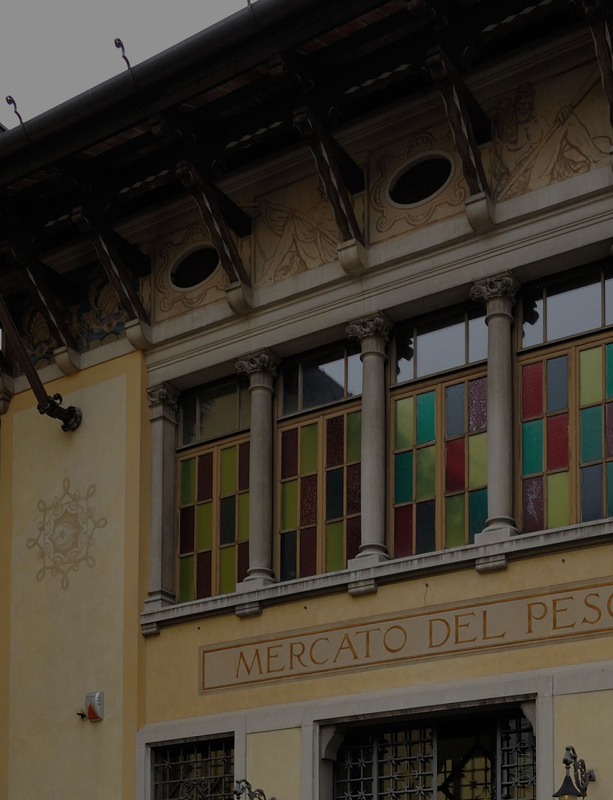 Located in Via Paolo Sarpi in a historical Art Nouveau building locally known as the ex Mercato del Pesce (former Fish Market), the Galleria Tina Modotti opened in 2009 as a permanent space for the city’s photographic exhibitions. Named after the celebrated photographer Tina Modotti (Udine, 17 August 1896 –Mexico City, 5 January 1942), the gallery, as well as exhibiting the photographic heritage conserved in the city’s public museum collections, also hosts exhibitions showcasing the work of photographers emanating from outside of the city. Home to the local fish market until the 1990s, the original seventeenth-century building was transformed in the mid-1920s under the stewardship of the local municipal engineer Davide Badini (1897-1947) in accordance with a design based on an Art Nouveau reinterpretation of Tuscan Renaissance themes. 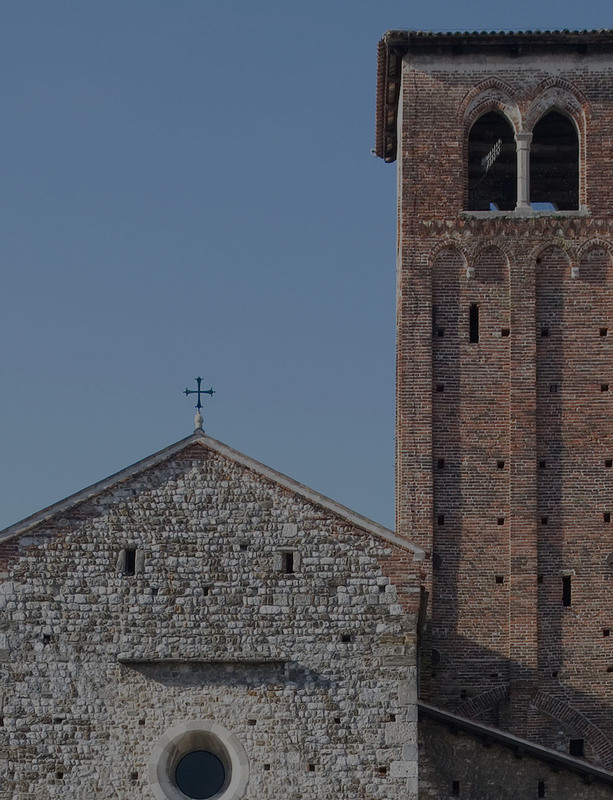 Once a place of worship, the church of San Francesco in Largo Ospedale Vecchio is now an important exhibition and cultural centre run by Udine City Council. 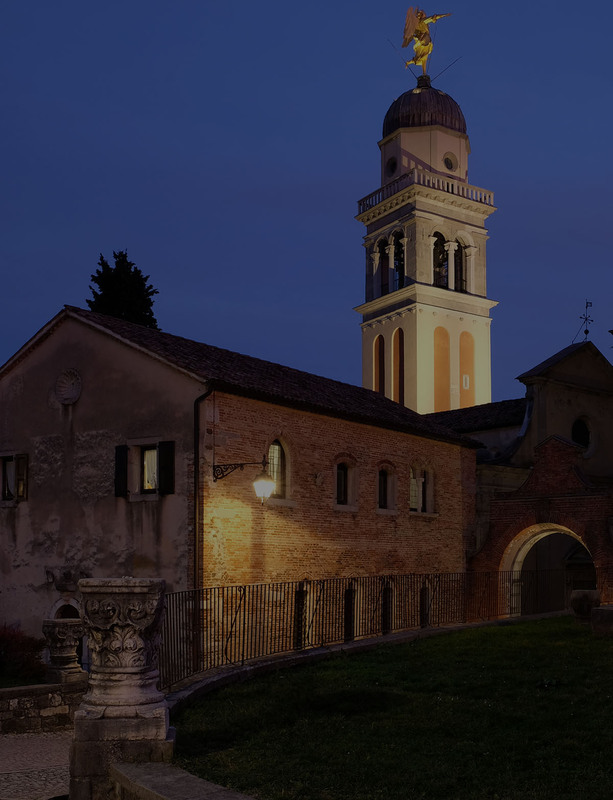 The Franciscan church, consecrated by the Patriarch of Aquileia Gregorio of Montelongo in 1266, houses some superb frescoes including the so-called Lignum Vitae. Covering the entire wall to the right of the central apse, the Lignum Vitae depicts a large tree with long branches spreading in a fan shape around the central figure of Christ on the cross, a typically Franciscan iconographic theme. Recent studies have dated the fresco to the first decade of the fourteenth century on account of its characteristic Venetian-Byzantine and Giottoesque-Paduan style. At the very top of the castle hill, next to the church of Santa Maria del Castello, stands the Casa della Confraternita. Built in the fifteenth-century Gothic style, it is first mentioned in documents dating back to the same century. The building extends over three levels: the ground floor, which is currently home to temporary exhibitions organised by the Civic Museums of Udine; the first floor, which consists of a large rectangular room with an exposed wooden-beamed ceiling replete with decorated joists, one of which depicts, among its floral motifs, the figure of the Madonna and Child and the old medieval castle, and finally the upper floor, which is currently occupied by the castle caretaker. 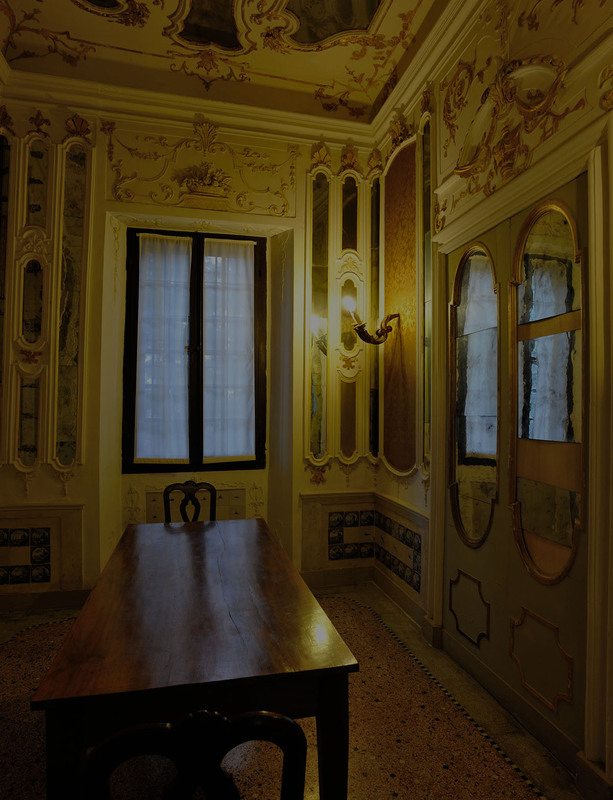 Situated inside the Castle forecourt at the top of the hill, the Casa della Contadinanza is widely believed to be a historical building and yet it is in fact a relatively recent reconstruction of a sixteenth-century town house once situated in Via Vittorio Veneto. Over the centuries, the original Casa della Contadinanza was owned by various noble families and was once the seat of the Contadinanza, one of the most important political bodies of the Patria del Friuli. However, it was demolished in 1928 to make room for another building and its stone materials were transported to the Castle hill. While the 1931 reconstruction is not completely faithful to the original design, it nevertheless looks impressive, and is aesthetically pleasing. The single vast hall on the ground floor is decorated with numerous coats of arms and is used as a restaurant, while on the first floor a large-sized room is dedicated to temporary exhibitions and conferences. Rich in history, versatile, and fully functional, the CIVICI MUSEI in UDINE are the ideal place to hold special events such as conferences, meetings, and previews.